The Beta Pi Chapter was founded by Annie Webb Blanton on November 16, 1935. ​Beta Pi celebrates 83 years November 2018. Wearing hats like our Founders on Founder's Day. Beta Pi Chapter has one major fundraiser per year. "O' What a Show - A Fashion Event" is on it's 7th year. O' What a Show is supported by the Alice community and surrounding areas. Unique boutiques showcase their wares and venders sell their goods. Attendees enjoy a sit-down dinner, the showcase, shopping, silent auction and a raffle at it's best. O' What a Show is Thursday, February 28, 2019. Come join us! Beta Pi Chapter has embraced mentoring Early Career Educators (ECE) since September 2014. Each Fall ECE are identified and supported throughout the school year. Beta Pi has awarded approximately $10,000.00, to the approximate 80 ECE's for surviving their first year. Beta Pi continues to mentor into their 2nd and 3rd year. 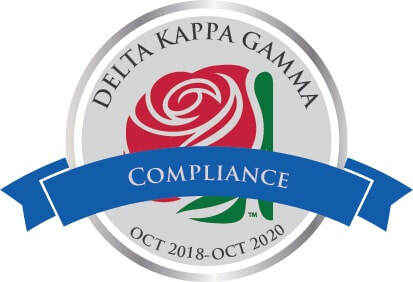 The Beta Pi Chapter continues to grow in membership, encourage member leadership at local and state levels, represent at conventions and area meetings, contribute to the community and to stay true to the mission and purposes of The Delta Kappa Gamma Society International (DKG).